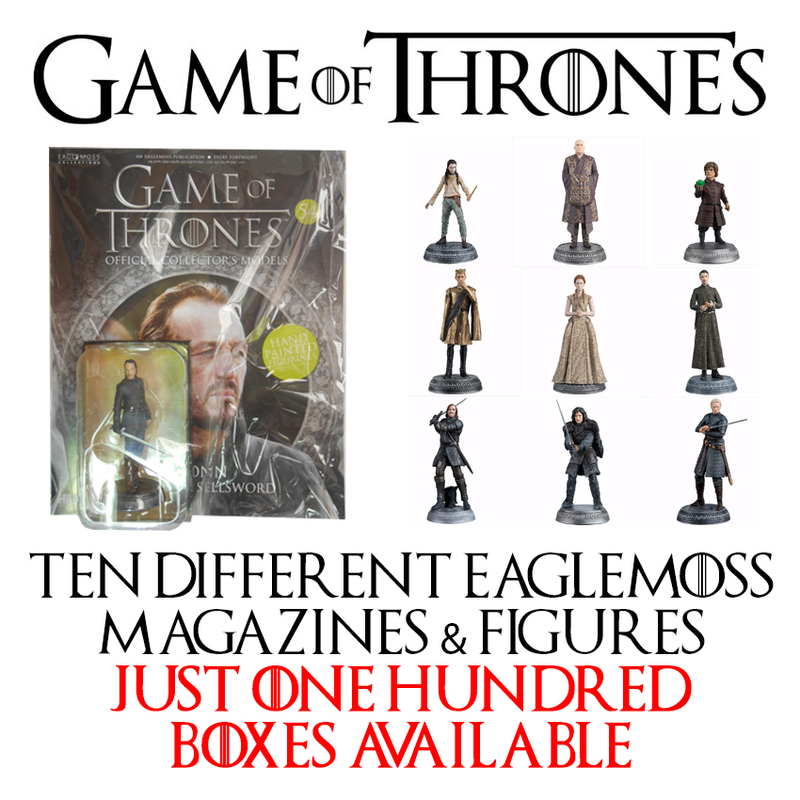 We present an amazing deal of 10 different Eaglemoss Magazines and Figures from the fantastic Game of Thrones Collection. Just 100 boxes available. Be quick! We've a special deal for these on Amazon of 9 FIGURES WITHOUT THE ACCOMPANYING MAGAZINES for £75 so this truly is a bargain price. First come, first served.